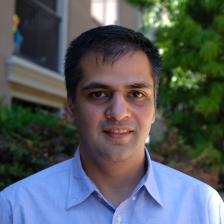 Aditya is the Engineering Manager at Facebook supporting efforts in AI Infra including Feature Engineering Infra, ML Data Platform and the Inference Platform. He started out at facebook supporting the FBLearner team 3.5 years ago. Prior to Facebook, Aditya worked in Ad tech for more than 10 years, starting with SMS-based ads, email marketing all the way to Creative Security and writing new rich media ad formats for the Xbox One and Tablets, during which time I had the opportunity to contribute to multiple standards for online advertising including MRAID for mobile ads and VPAID for video ads.